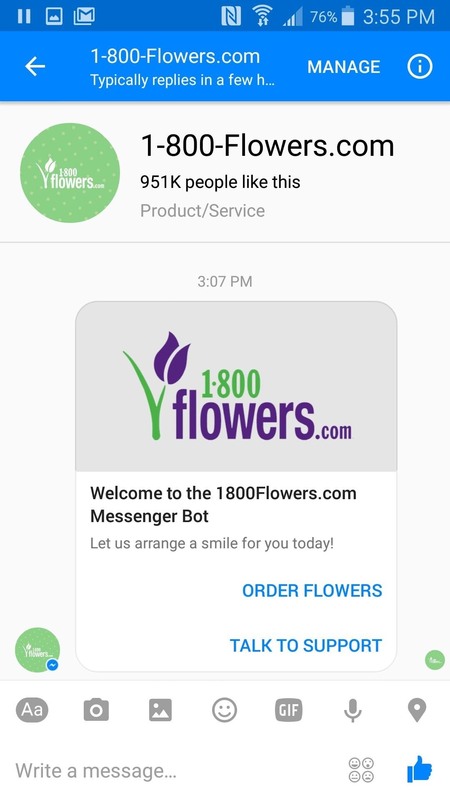 Automated bots are growing on Facebook Messenger, and while they can be helpful, they also have the potential to get very annoying, very quickly. That's because these bots are enabled by default to send you "sponsored messages," or, you know, spam. Unfortunately, there doesn't yet appear to be a way to universally block these unwanted messages, so you'll have to do it on a case-by-case basis. It's not the ideal solution, but it should work well enough for now to keep any junk messages from crowding your inbox. Facebook hasn't done a very good job of advertising these new bots, but they're available if you know where to look. 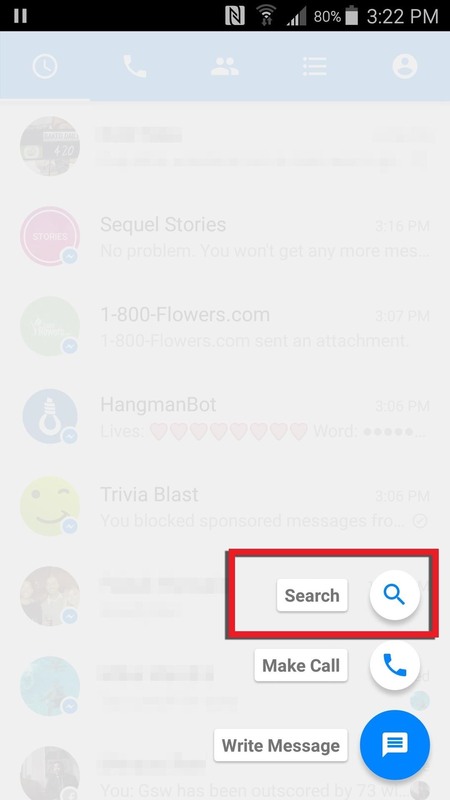 If you're using the Android app, you can find some of the bots with Messenger's search option. Tap the floating action bubble in the bottom right corner, then tap the search icon. You should see some of the available bots in the search results above the Suggested section. 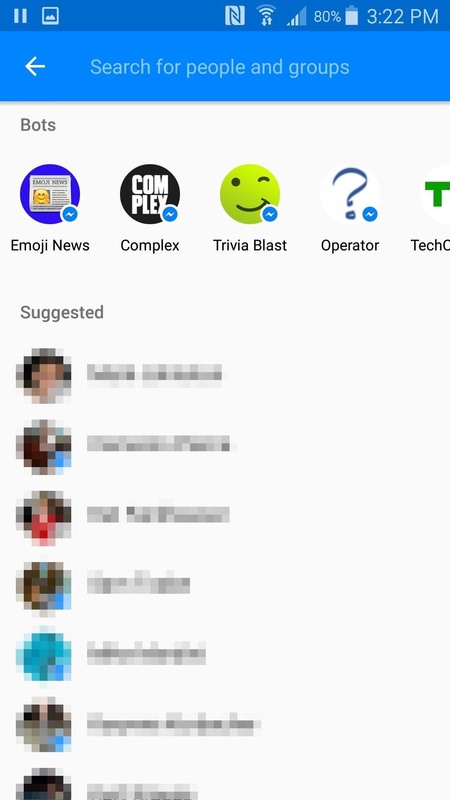 For some reason, Facebook is only displaying six bots right now, even though there are more available, so you'll have to manually search for the rest of them. 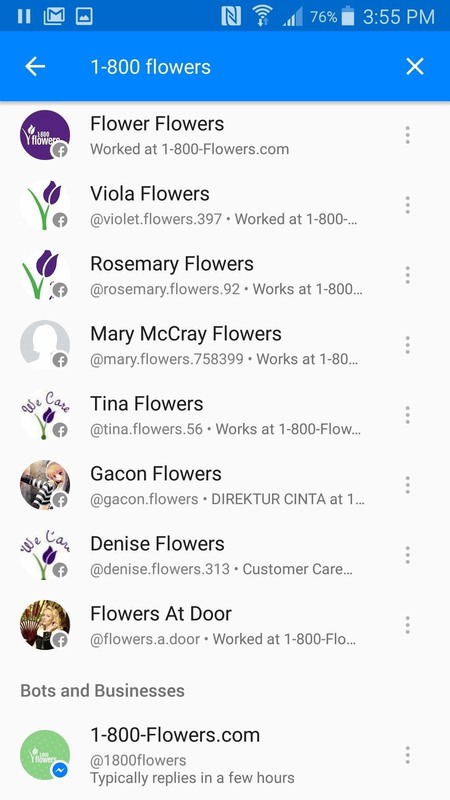 If you want to use the 1-800-Flowers bot, for instance, you'll have to type "1-800-Flowers" into the search bar, then scroll to the bottom of the page where you'll find it under "Bots and Businesses." 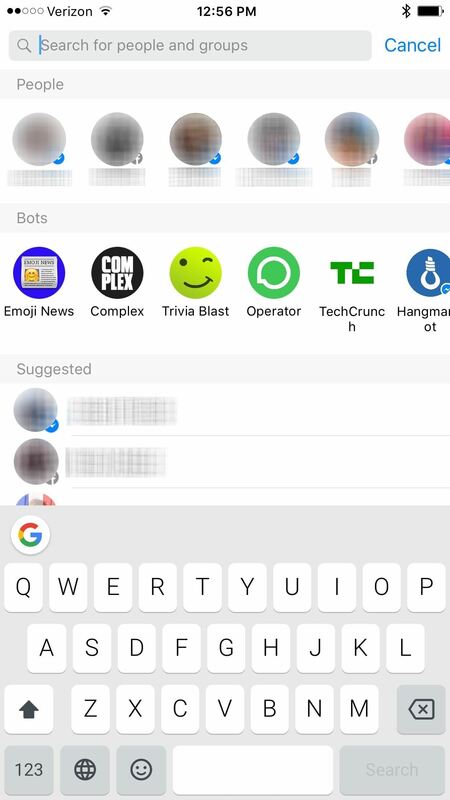 Finding bots on the iOS version of the app is pretty similar, you just need to use the search bar. 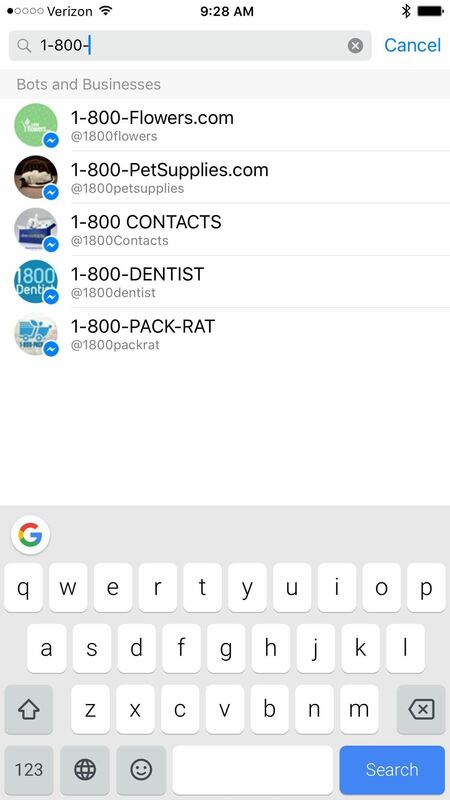 The iOS version shows the same six bots as the Android version—if you want to find more, you have to type a name into the search bar and basically hope for the best. You can view some of the unlisted bots here. It's a pretty weak interface right now, so hopefully Facebook makes searching for bots a little more straightforward, especially since it's impossible to tell an actual bot from just a business. To make sure you don't get any annoying messages from a bot, you're going to have to go in to the conversation settings and block sponsored messages. 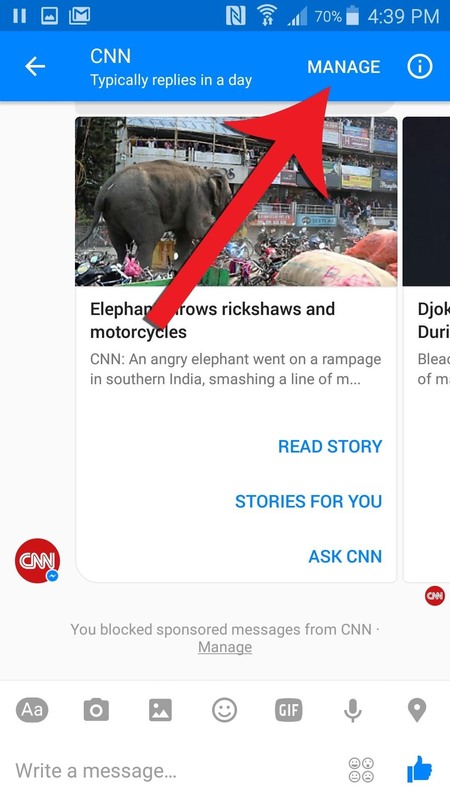 For Android users, start off by opening the message thread with the bot you wish to block, and then tap "Manage" at the top of the screen. 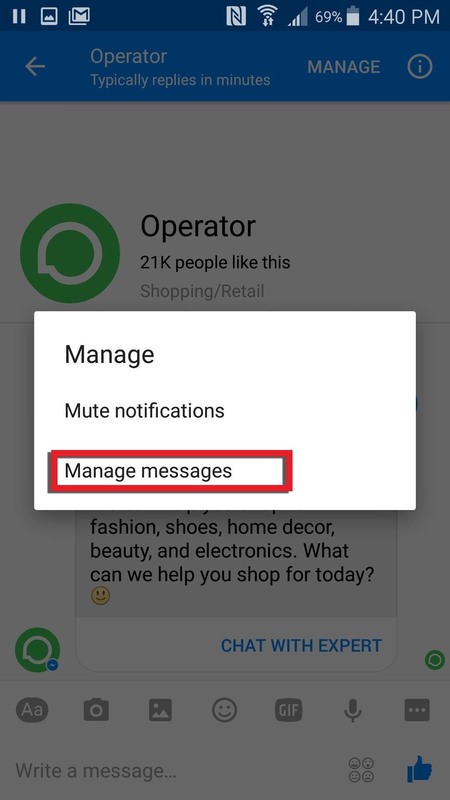 Next, tap on "Manage messages" in the menu that pops up. 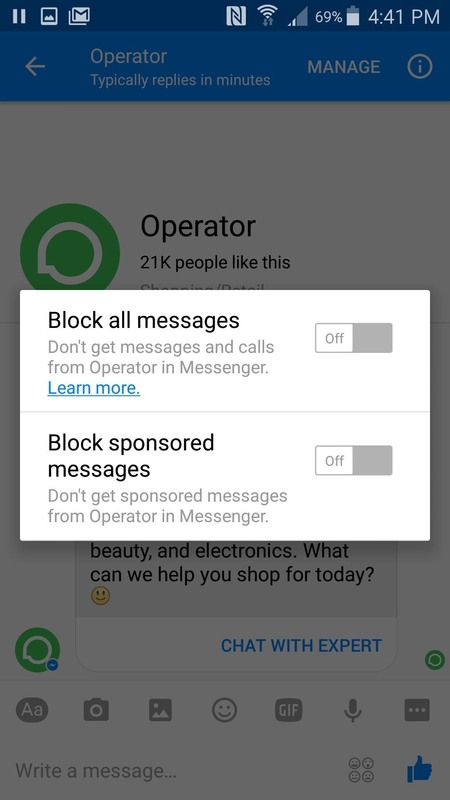 You'll see the option to block all messages, or just sponsored messages. You won't be able to use the bot any longer if you block all messages, so you just need to toggle on the second option. If it worked, you'll see a note in the thread that says sponsored messages are now blocked. Just like searching for bots, turning off sponsored messages is pretty similar for iOS users. Enter the conversation with the bot you wish to block, then press on "Manage" in the top-right corner. 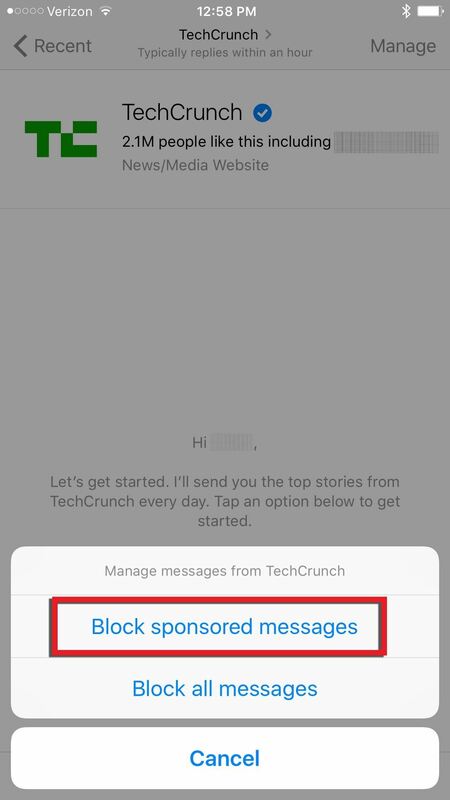 Tap on "Block sponsored messages" in the pop-up card, and you won't be bugged by that bot any longer. Unlike the Android app, we didn't get a note in the thread telling us that we blocked sponsored messages. If you don't see a notification either, there's a workaround to making sure they're blocked. 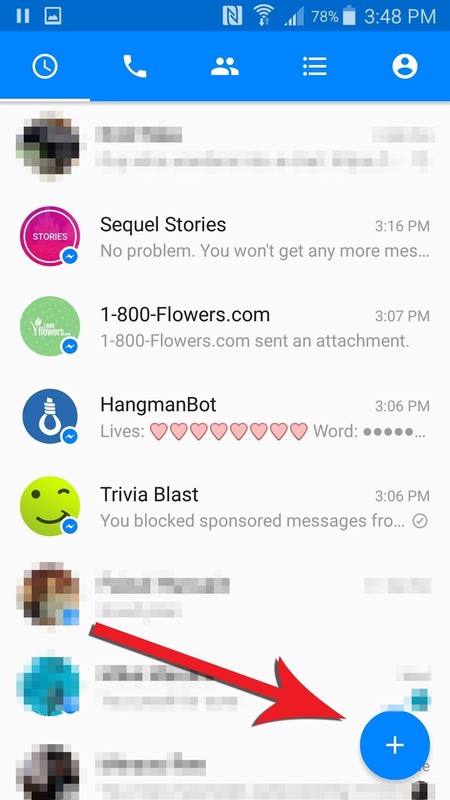 Instead, block all messages, then go back to the Manage menu and hit "Block sponsored messages only," which will tell you that you blocked sponsored messages and will let you unblock them later, while not blocking the bot altogether. 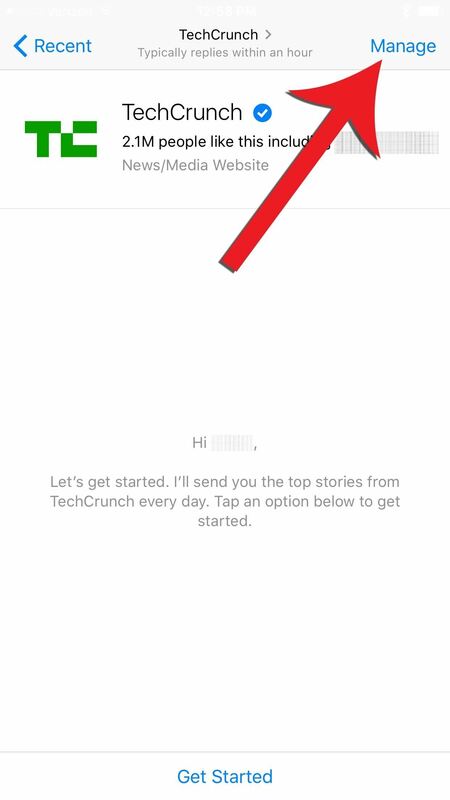 It's most likely that Facebook still has a couple kinks to work out with the Messenger bots, as is obvious with the iOS version, but hopefully you don't get any spam messages after you complete these steps. 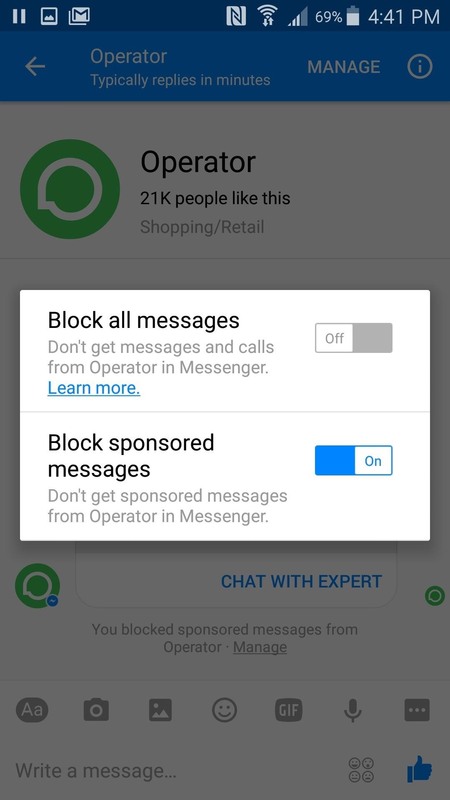 If you decide you would like to receive sponsored messages again, you just have to repeat these steps and set "Block sponsored messages" back to the off position.